DRP Pre-Season 2018 Registration is OPEN! Registration is now open for the Devo Race Program Pre-Season! This will be an 8 Week program, with the first practice on Monday, January 22nd. This is a program for U14 and U19 riders only, please! Practices will take place on Mondays, Tuesdays, and Thursdays after school. Mondays will be a ride or other outside activity. Tuesdays will meet at CrossFit Catacombs for a CrossFit class taught by one of their professionals, and Thursdays will be a swim practice with the Durango Swim Club, taught by their head swim coach! Mercy Sports Medicine will also be there to teach about the importance proper nutrition, recovery, and general wellness. This program will be a balanced, all-around fitness attack with emphasis on promoting a healthy body, mind, and spirit. Cost will be $275 for the 8 Week session, which covers the price of coaching, CrossFit Catacombs Gym Membership, and a lane at the pool with the Durango Swim Club for all 8 Weeks at only $11.50/practice. Athletes are highly encouraged to attend all three days per week to make sure their training is well balanced! Remember that Devo’s Scholarship Fund is here to help you! If you think you may qualify for a Devo Scholarship (both full and partial scholarships are given), contact director@durangodevo.com to apply. Discounts for multiple riders, Devo coaches, and scholarship recipients exist. Inquire at director@durangodevo.com for a discount code if you think you qualify. To register, visit durangodevo.com and click the DRP Pre-Season 2018 Registration link under the Registration tab! In 2018, one of Devo’s New Year’s Resolutions is to start up our monthly newsletters once again! Read on for a recap of Devo’s 2017 season, and a summary of exciting things to look forward to in 2018 by our very own, Chad Cheeney. A new Director! I get to work with Levi Kurlander, our new Executive Director and a Devo alum from some of the first years of Devo in the mid-2000s. I coached him from U14 to U19, to FLC for the Skyhawk Cycling Team. Now he’s my boss! So cool, and what a story. The races that are coming to town! In 2017, Purgatory made a turn towards summer lift accesses for bikes and hired Hogan Koesis, a legendary bike park designer, to create new trails at Purg. Wow! Because of this, we can look forward to a ProXCT, ProGRT, some Keith Darner events like a weekend bike festival at Purg, collegiate racing at Purg, the Scott Enduro Cup and more. 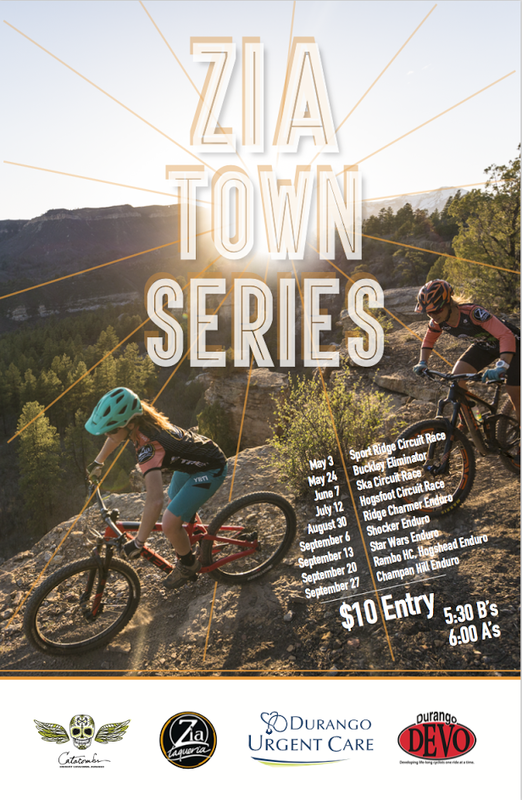 We already have the IHBC, Alien Run, Escalante Days, Durango Double and the Zia Town Series, so MTB racing in Durango is going to be huge in 2018! The Coaches! Now that I’m a Dad and don’t have tons of time to hang with my friends, my homies, and my people, I end up hanging with my workmates most often. Luckily, they also happen to be my friends. So dreamy! This is what creates the fun culture at Devo that we know and love. Push Bike Coaching! We all know how cute it is, and man is it great being a leader for this group. This past season saw 14 different Push Bike Coaches. When you compare this to the early days of the Push Bike groups in 2013, there were only a couple groups! Amy H. and I led them all. This growth and stoke to lead these young whippersnappers tell me things are looking up in the world. The Special Needs Jr Devo group! We hired Coach Matt, an FLC cycling member, who really wanted to lead a group. We put him with the SN group and each week he’d come into my office and tell me all the rad happenings at practice. My heart melted when he informed me that he has special needs and had a rough upbringing. Leading this group has been his calling. Our former riders turning into Coaches! And darn good ones. I was blown away when I tagged along with the Cyclocross team led by alum and coach, Stephan Davoust. He was so engaging, so positive, and spread out his attention to each of the riders during the ride. Got that mushy feeling again! We have a bunch of former riders turned coaches – too many to name with 99 locals Coaching for us in 2017. Wow! The Devo Explorers! As it turns out, some of my bike explorer friends from before the days of Devo are now the amazing Coaches of Devo Explorers, leading the charge towards the future. This makes me so proud to see the amazing trips they plan and the adventures they facilitate. It’s amazing! I don’t know anywhere in the world where leaders of their skill and expertise take kids into the wild. Below is an awesome picture of an Explorers trip to Bears Ears! Champions! We had so much racing success last year and our alumni are turning out to be the best in the business. Look at the results from last year on the road and MTB and you’ll see Durango at the top, with most being former Devo riders. They are not only fast, but are also having fun and spreading the love cycling while giving back to the sport in their own special way. I think 2018 will see more of these top results. Recently we had Howard Grotts and Christopher Blevins race for Team USA at the MTB World Championships. Also, Sepp Kuss signed Devo’s first World Tour level contract with Lotto NL Jumbo, whaaaaaaat! He’ll be moving to Spain in the spring to start his first season of European road racing. Getting hired back! I was so excited to start back up with Devo last year around this time. For the previous 2.5 years, I had been working with Bend Endurance Academy in Bend OR, coaching MTB and Cyclocross. I got the chance to really dive into another program and help them grow. I learned so much about myself and the strengths I can bring to a program like Devo. I hope to keep it fun and interesting for years to come. DRP pre-season program starts Jan 24. It’s an 8-week program for U14/U19 (and younger with coach’s consent) involving some fun preparation for the spring riding and racing season. Mondays are ride or outside activity, Tuesdays Catacombs Cross Fit class and Thursdays swim practice with the Durango Swim Club. A balanced all-around fitness attack with emphasis on promoting healthy body, mind, and spirit. The NICA Colorado State Champs are in Durango next October! Flyers will be splitting into two groups based on age and skill and will be hitting up some sweet Enduro races, like never before. Devo is sending its first team of riders to USAC Cyclocross Nationals next week in Reno. Wish them luck! Have a safe and happy 2018! Durango Devo is currently looking for an Executive Director. See the job description here. Devo is on! All groups begin August 28th! See the group meeting places for fall 2017 here. I’m emailing to let you all know that we are planning a team potluck and follow-up meeting to be held on Thursday, August 10th at Folsom Park from 5:30-7:30. We’ll start out by playing some knock-out on the bball courts and then kick off the season with food and coaches’ introductions. We’ll also review information covered in the July 27th as well as go over practice and race schedules and expectations. We hope to see all parents and riders there! We’re hoping families can help contribute food! Get pumped for the Fall Nica season! As a reminder, the first day of practice is Tuesday, August 15, 2017, 4:15-6:15pm meeting at the Rec Center. For those athletes who need a jersey and/or bibs, we have some inventory in the Devo office, and we will be placing an order very soon. Please contact Jamie Wienk ASAP to let her know what you need. Please feel free to contact Ian, me or Jamie if you have any questions or need anything. Junior Devo Schedule is out! Taking place at Buckley Park, the course is a short cyclocross like lap around the park with cool obstacles to show off skills and make sweet moves in front of the parents, coaches and friends. Then following at 6pm the adult racing begins with qualifiers and then a bracketed tourney where four rider go head to head, the top two moving on. This is a unique style of race that is high action and great spectating. The series is ran by Durango Ska/Zia/Trek MTB Race Team and Durango Devo. And supported by friends of fun local action, Zia Taqueria CrossFit Catacombs Durango Urgent Care and Think Network Technologies LLC! Time to clean out your garage of all things BIKES! Durango Devo Bike Swap will be April 28th & 29th at Chapman Hill! This is Devo’s largest fun(D)raiser of the year! Come out and support youth cycling! Find the Spring scholarship application here..
Mercy Sports Medicine presents: Youth Concussions: What you need to know! a FREE information discussion on youth concussions for parents, teachers, and coaches. 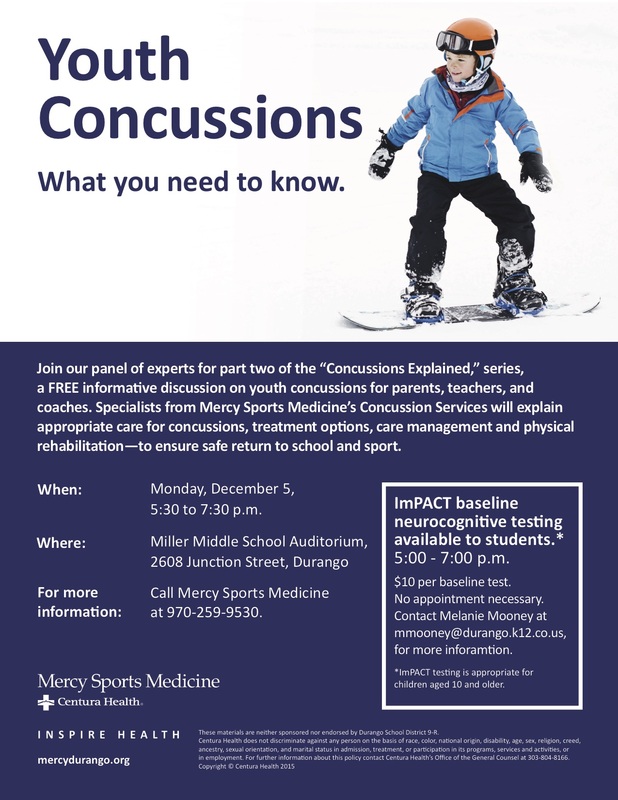 Specialists from Mercy Sports Medicine Concussion Services will explain appropriate care for concussions, treatment options, care management and physical rehabilitation—to ensure safe return to school and sport. The FLC Cycling Team and Durango DEVO want to bring all cyclists together for a night to celebrate ALL the greats things about our cycling community. Student/athletes from the FLC Cycling Team and Durango Devo will be there to assist in car/bike parking, greeting all the guests and mingling all night. Durango Olympians, Commuter Champions, National Champions, and the entities that make it happen: Trails 2000, Durango Multimodal, etc will be celebrated. Everyone is welcome to attend, there’ll be food from Zia, beverages from Carver’s, and music. There will also be a silent auction with some amazing items from Trek, Durango Silverton Narrow Gauge RR, Pivot, Snowmass Resort, Western Spirit, local bike shops and restaurants, massage therapists and more. Proceeds from the evening support the FLC Cycling Team and DEVO in our similar quests. We hope you will come out and celebrate with us, invite your friends. For more information or to help out please email jamie@durangodevo.com. FLC Cycling is hosting the 2nd race in the Zia Taqueria 4 Corners Cyclocross Series (4CCX) on Saturday November 12, 2016 at Ray Denison Memorial Field on the Fort Lewis College campus. The FLC CX team will compete against racers from all over the region including many of Durango’s legendary cyclists. Three waves of racing will start at 10am, 11am and 12noon. Registration opens at 9am. 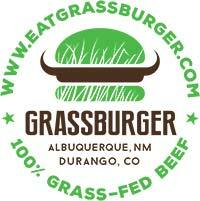 The action starts at 10am with Kid’s Races with help from Durango Devo and FLC CX racers. There will be two categories, under-10 years old and 10 to 13, for both boys and girls – mountain bikes are welcome! Devo and FLC racers will lead a pre-ride at 9:30am to show the course and assist with skills. Racers will do two laps on a 1-mile long course with obstacles to dismount over and challenging terrain. Best of all it is Free! More kids CX races will also be held on Sunday December 18, again at FLC. At 11am the Open Women, Men B and Men 50+ will race the course for 40 minutes. FLC Senior cyclists Jenna MacPherson, Ellen Campbell and the rest of the women’s CX team are looking to build their form against some tough local competition in preparation for the 2017 Collegiate Cyclocross National Championships in Hartford, CT January 3-8. The Open Men and Men 35+ categories will start at 12noon and race for 50 minutes. Many of Durango’s top cyclists including Troy Wells and Travis Brown will test FLC riders Ian McPherson, Cody Cupp, Jon Anderson and the rest of Men’s team in their own preparations for Nationals. Cyclocross at FLC is a great spectator sport also. All race are open to mountain bikes! Entry fee is $25. Photo is FLC rider and last weeks winner Jon Anderson leaping the barriers at last weeks muddy race in Dolores.